Picking recommended ELISA Kits will save you time - yet all 135 products covered by our Money Back Guarantee! 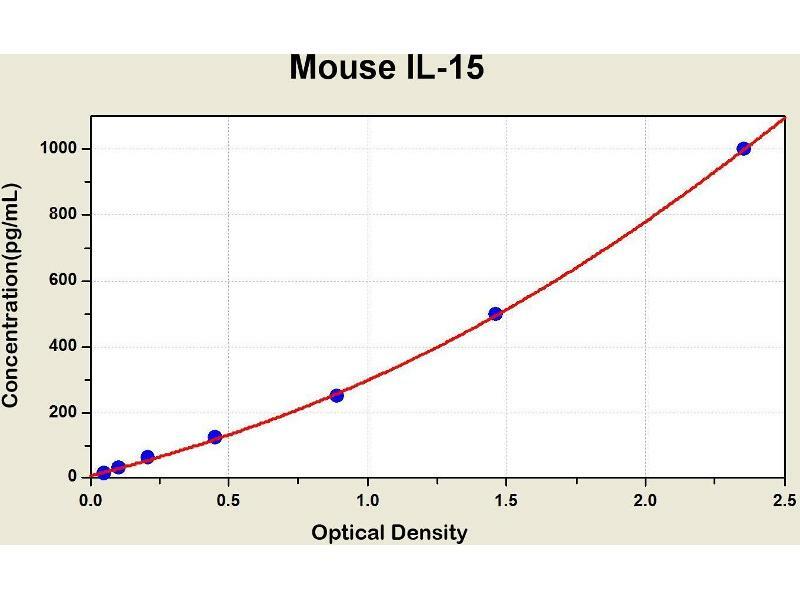 Diagramm of the ELISA kit to detect Mouse 1 L-15with the optical density on the x-axis and the concentration on the y-axis. 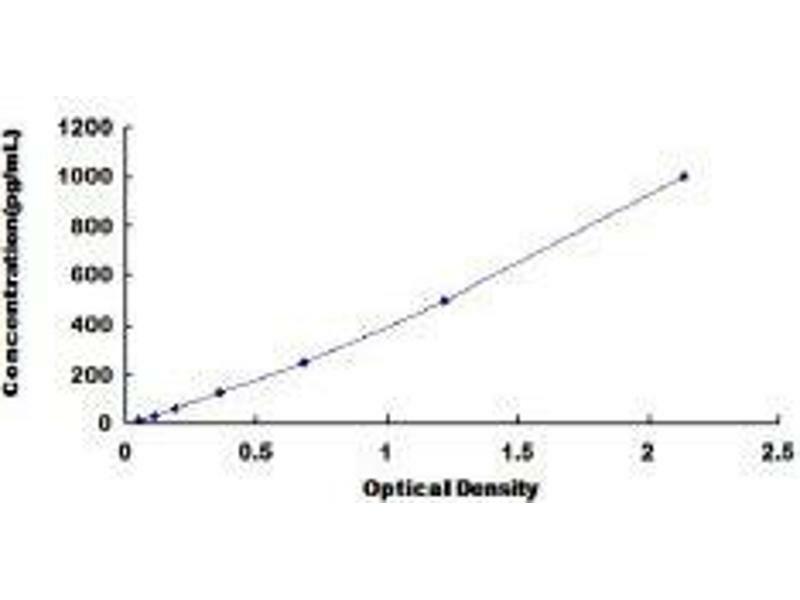 Diagramm of the ELISA kit to detect Rat 1 L-15with the optical density on the x-axis and the concentration on the y-axis. The protein encoded by this gene is a cytokine that regulates T and natural killer cell activation and proliferation. 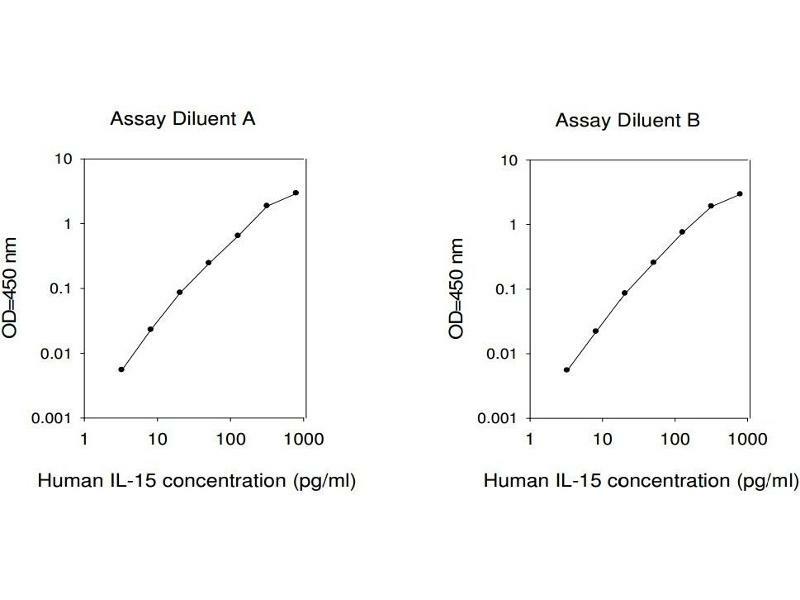 This cytokine and interleukine 2 share many biological activities. They are found to bind common hematopoietin receptor subunits, and may compete for the same receptor, and thus negatively regulate each other's activity. 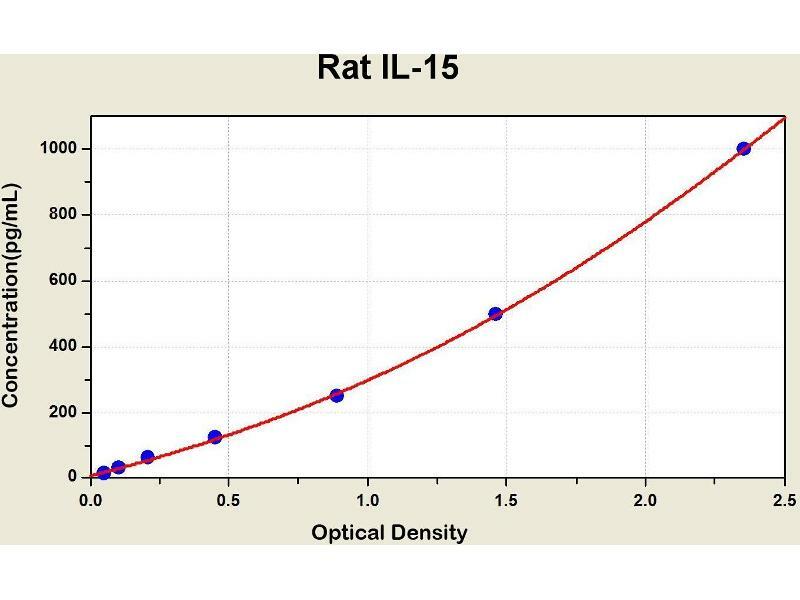 The number of CD8+ memory cells is shown to be controlled by a balance between this cytokine and IL2. 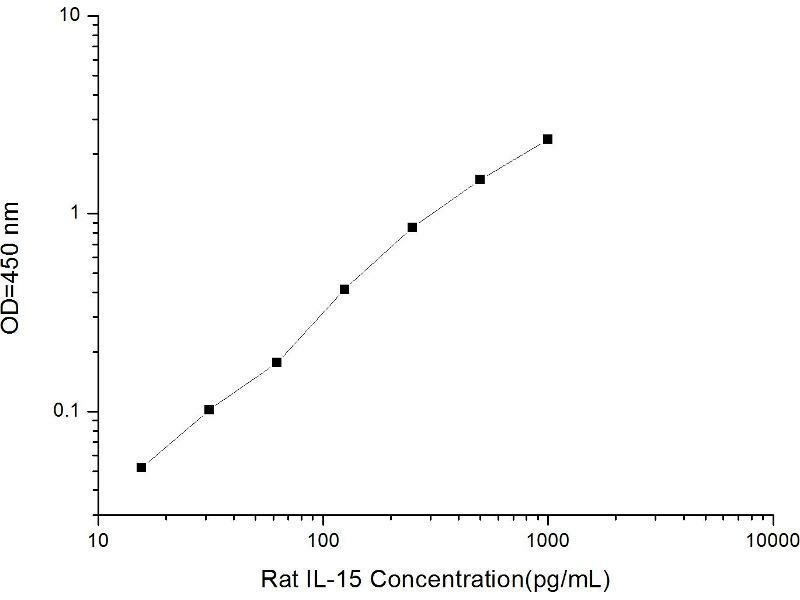 This cytokine induces the activation of JAK kinases, as well as the phosphorylation and activation of transcription activators STAT3, STAT5, and STAT6. 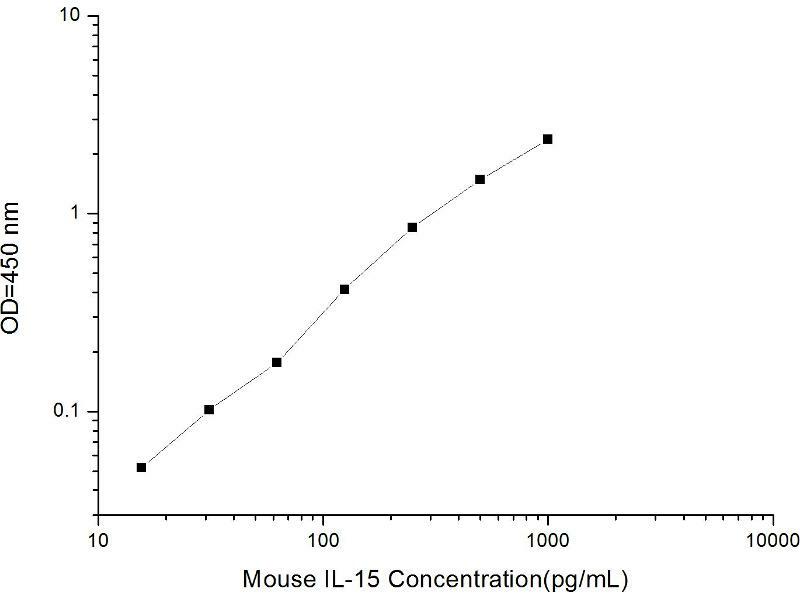 Studies of the mouse counterpart suggested that this cytokine may increase the expression of apoptosis inhibitor BCL2L1/BCL-x(L), possibly through the transcription activation activity of STAT6, and thus prevent apoptosis. Alternatively spliced transcript variants of this gene have been reported.